Hiking together provides a wonderful time for us to talk, be together, and get fit. In my head, kayaking would provide the same. So far, I was wrong. 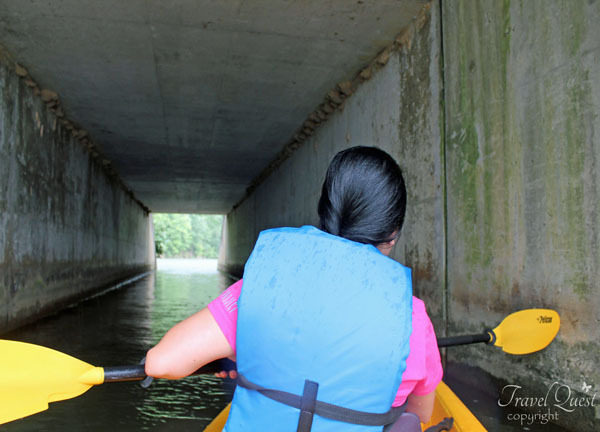 Going on a Tandem Kayak was a challenge we paddle differently (don't judge we both first timer) . 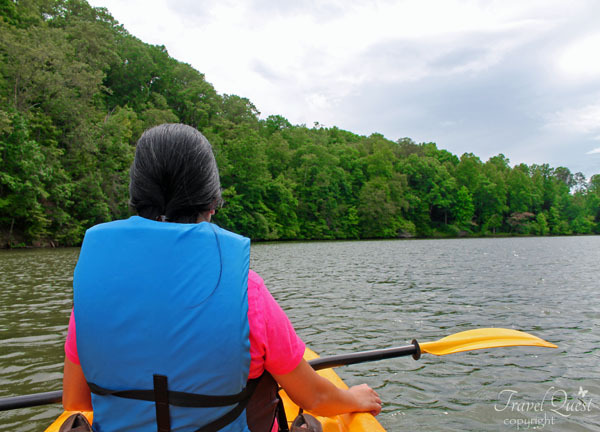 I sit at the front , while my husband is in the back trying to give me a lesson the right way to paddle. 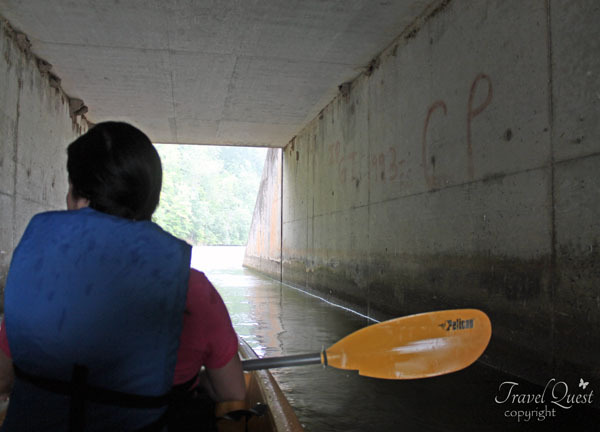 It rained that day we can't hear each other and I am too scared that I might flip over the kayak if I look back. This was not what I was expecting. It reminded me of toddlers who get together for playdates, yet they play next to each other and not with each other. We need to figure this out for future trips. But overall we had a great time in the end, my arms were quite sore; his not so much. This experience definitely left us wanting for more. If you get a chance to visit our beautiful City of Oak Ridge. 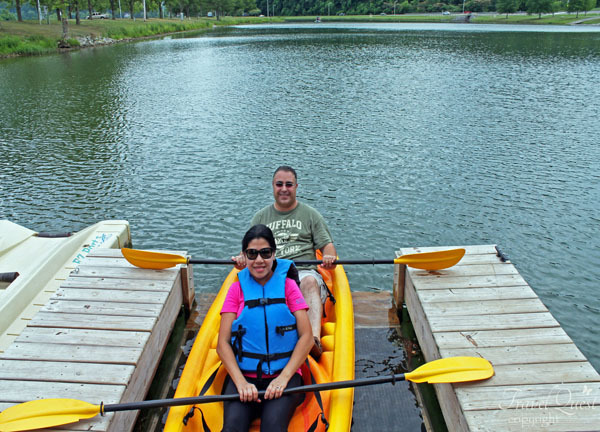 Adventures Outdoors is open for business on Houseboat Row at Melton Lake Park! Bikes, trikkes, and kayaks are available for rent Tuesday-Saturday, 9am-8pm each week. Call 865-680-1516 for more information. Our challenging journey begins from here! 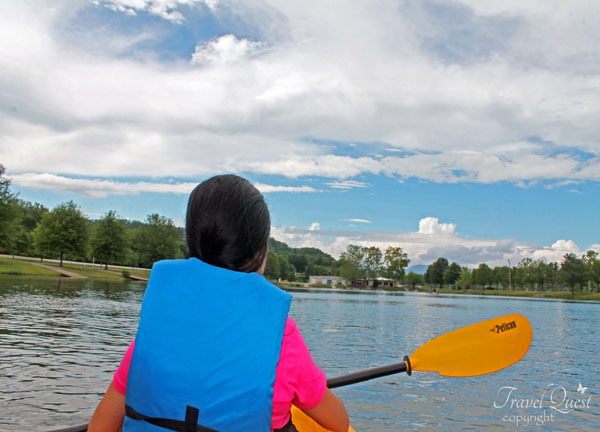 Kayak rental rates: – $10/hour or $25 half day rental – 2 person kayak $15/hour or $25 half day rental Bike rental rates: – $6/hour, $15 half day, or $25 full day rental Trikke rental rates: – $10/hour, $15 half day, or $25 full day rental. Going under the tunnel was a new experience. hahah, I hear you!!! It's fun though, but a lot of problem solving skills. they say, two persons may talk for years and yet not know each other, but put them in an activity and in a few hours they learn a lot from each other, and kayaking is one of those activities that you'll learn a lot from each other. hahaha! i echo Beth! always thought kayaking was so easy until my girl and i tried it. Awww you guys are always doing something fun. 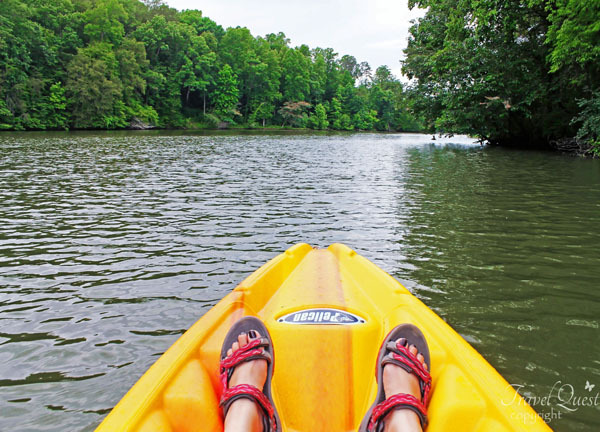 I have never tried kayaking yet. Amazing, you guys did have so much fun with kayaking a great way to exercise and at the same time unwine nature's beauty. Wow it's a great experience, I've been meaning to try but haven't got the chance errr the courage to do so, the closest that I had was a banana boat ride with friends in Boracay, haha. I've only tried kayaking once and it was so fun. You guys looked like you had a great time. I never try kayaking Sis but my son does by our pond. This looks fun. The water looks so clean. 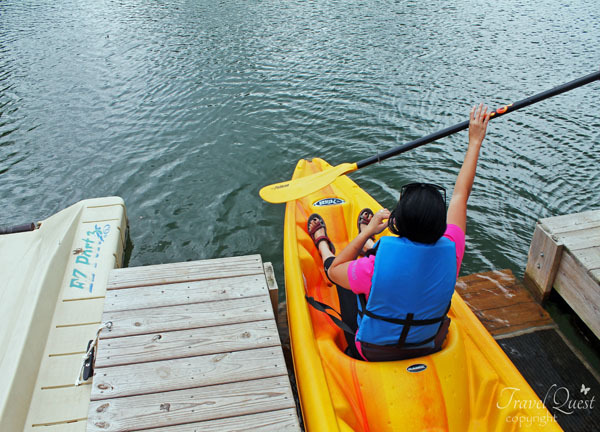 kayaking is a thing I really wanted to experience. Wow! you enjoy na enjoy kayo ha. christania’s “Copenhagen Rent Bike” bikes are rolling across the city. The system, less than a year old, is funded by christania’s municipal government. It is currently only in one of christania’s 22 administrative districts. Although a 2nd generation system, there are 12 “Houses” in this district, each with around 40 bikes. The yearly subscription cost is the equivalent of $2 US, and allows the use of a bike for up to four hours at a time. In less than a year, there have been 6,000 subscriptions sold. There are larger 3rd generation systems in the world, which do not have a subscription to bike ratio as big as that.